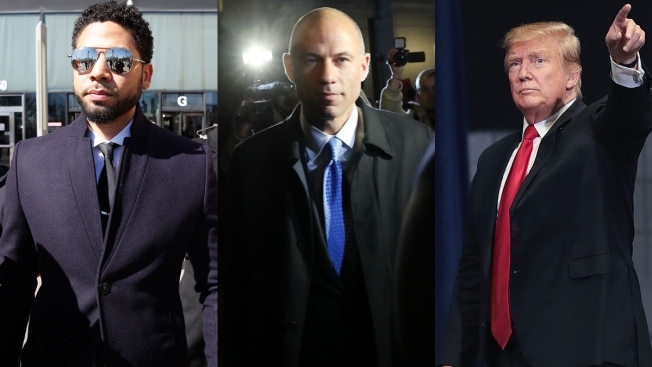 From left: Actor Jussie Smollett, attorney Michael Avenatti and President Donald Trump. "I have been truthful and consistent on every level since day one," actor Jussie Smollett told the world after prosecutors dropped 16 felony counts that accused him of making a false police report about being the target of a racist, anti-gay attack. 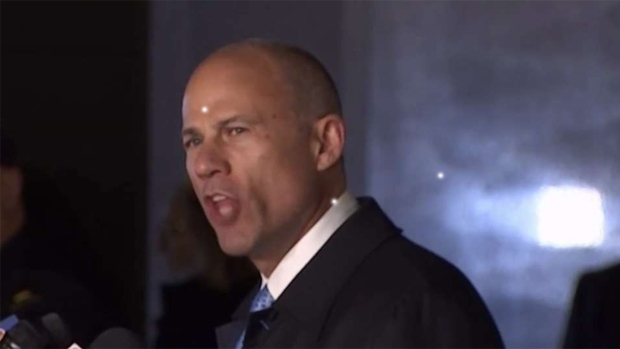 "I am highly confident," high-profile lawyer Michael Avenatti said after being accused of trying to extort money from Nike, "that I will be fully exonerated and justice will be done." 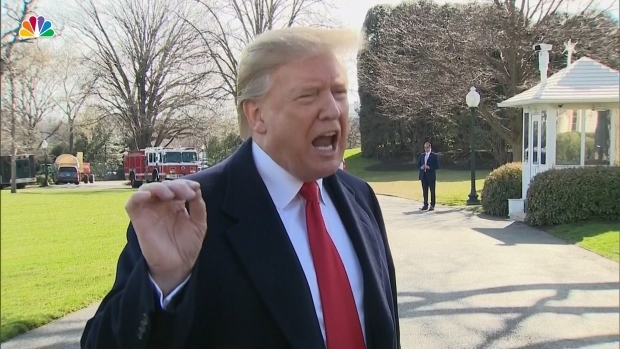 "Complete and total EXONERATION," Donald Trump tweeted after the attorney general's summary of the Mueller report's "principal conclusions" was released. And on Thursday night, before a huge crowd: "The greatest hoax in the history of our country." Such certainty across the board. Such vigorous, declarative statements — crystallized, workshopped, simplified into sound bites containing a single message: It didn't happen. I didn't do anything wrong. Case closed. End of story. Incontrovertible. Don't question it. Ever since the first stirrings of national inevitability in the 17th century, ever since the colonists declared independence by citing truths they held to be "self-evident," being definitive has been the American way. But in an age of utter uncertainty such as this, the expression of certainty — robust, sure-of-yourself, no-other-possibility certainty — may be the most powerful weapon of all. "You see this absolute language: 'Always.' 'Never.' It's a drive to oversimplify because we fear losing people, we fear the confused mind saying no," says Shannon Berg, who runs a crisis communications firm in Portland, Oregon. "We have a lot of binary thinking and really overly simplistic storylines that we try to drive to because, for whatever reason, that's how we're wired," she says. "We're not comfortable in the space where things aren't so cut and dried." The problem, though, is that certainty is a rare beast. With Smollett, for example, prosecutors made clear that dropping the charges didn't mean they'd exonerated him. In Avenatti's case, prosecutors expressed confidence — maybe even certainty — that they had the goods to secure a conviction. And the president? Attorney General William Barr's four-page letter on the still-unreleased Mueller report took pains to say that just because it didn't conclude guilt didn't mean it had concluded complete innocence. Yet the practice of protagonists claiming definitive outcomes is as American as Hollywood endings, the expression of a culture that hasn't had much use for nuance — a word that was deployed against John Kerry during the 2004 presidential campaign to support accusations that he was wishy-washy. It wasn't so long ago that Americans lived in a world where they couldn't amplify themselves globally with devices in their pocket, and the notion of "definitive" was a lot easier to control. So when an avuncular, sure-of-himself middle-aged white man signed off his nightly newscast by saying, "That's the way it is," anyone who thought that actually WASN'T the way it was didn't have an immediate and loud way of saying otherwise. The world seemed less fragmented, even though it probably wasn't. Now, though, humans carry around the ability to talk to the wider world, and Twitter-style fragments abound. Opinions, informed and otherwise, buzz about like gnats. A certainty-based central narrative — the kind that was often calming, but also shut out and silenced Americans by the tens of millions — seems lacking. That can encourage critical thought. It can also sow confusion. One key reason Donald Trump's voters say they've supported him is that they consider him authentic — someone who says what he means. Few would accuse him of being overly nuanced; that's not his appeal. And in the age of Trump, that has emerged as a defining tenet of the public sphere: Say what you need to say, plant your feet and insist. This has a lengthy lineage. American society has long been conditioned — literally, and sometimes by the muscle of policy — to demand sharp, specific, binary outcomes. The production code that governed Hollywood movies from the mid-1930s to the 1960s required, for example, that moral order be maintained and "the sympathy of the audience should never be thrown to the side of crime, wrongdoing, evil or sin." Style guides for romance-novel writers offered similar strictures — and usually demanded happy endings. Michael Avenatti did not enter a plea and was released on $300,000 bond, but it's not the end of his legal issues as he faces coast-to-coast charges. Gus Rosendale reports. But beyond stipulating what KIND of endings things should have, such social engineering also encouraged Americans to expect clarity in life as we do on screen. This was evident in 2007, when the mob show "The Sopranos" offered up a finale that underscored Americans' dislike for ambiguous conclusions. The screen went abruptly black to finish off the show, and no one knew whether its protagonist, mob boss Tony Soprano, was alive or dead. It could have been interpreted in any number of ways. The outcry over the ambiguity was huge; where, people complained, was the definitive ending we were waiting for? Trouble is, life doesn't generally work that way. "The problem with absolute certainty is that it ends up tripping you up," says Evan Cornog, a political historian and author of "The Power and the Story: How the Crafted Presidential Narrative Has Determined Political Success from George Washington to George W. Bush." "There is this fondness for absolutes in this country," he says. "The upside is you project this aura of certainty. The problem is that reality often moves past it and proves it to be wrong." And so, behind the stage of certainty, ambiguity waits in the wings for its inevitable curtain call. It's behind the question of why, in the face of what was generally believed to be strong evidence, prosecutors inexplicably let the Smollett case go and moved on, sealing it from prying eyes. It's in the revelations that will emerge if and when Michael Avenatti faces trial. And it's in the tantalizing subtlety that Barr shared from Robert Mueller himself in a nearly 400-page report that few Americans have seen and that feeds the uncertainty: "While this report does not conclude that the president committed a crime, it also does not exonerate him." Reality is messy. The best TV these days has started to recognize that: "Mad Men," ''Fargo," Donald Glover's "Atlanta," this month's "Russian Doll" on Netflix. Where once we had "Perry Mason," we now have "True Detective." Each has its own way of showing that stories aren't always wrapped up in tidy bows, and that even things that seem absolutely definitive usually aren't. In this context, certainty seems something of a holy grail. But you wouldn't know it by listening to those in the spotlight during the final week of March in 2019. "Facts are stubborn things," John Adams famously said. But that was the 18th century. Today, in America's era of hyperamplified either-ors, Stephen Colbert may be more appropriate to cite: "Facts matter not at all. Perception is everything. It's certainty."